Actress Nancy Allen (Carrie, Robocop) and co-writer Bob Gale (Back to the Future) joined moderator Joe Palladino (Film and Media Studies, UCSB) for a post-screening discussion. 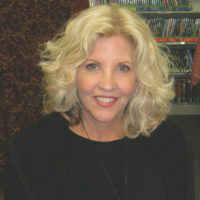 Nancy Allen is a Golden Globe-nominated actress and star of numerous films and television shows, including Carrie (1976), I Wanna Hold Your Hand (1978), 1941 (1979), Dressed to Kill (1980), Poltergeist III (1988), Out of Sight (1998) and the Robocop trilogy. Her television work includes The Outer Limits, The Commish, The Division, and Law & Order: Special Victims Unit. She is the executive director of the weSPARK Cancer Support Center. 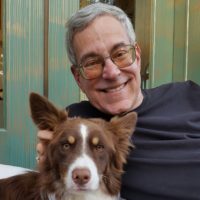 Bob Gale is an Oscar-nominated screenwriter-producer-director, best known as co-creator, co-writer, and co-producer of Back to the Future (1985) and its sequels. Gale was born and raised in St. Louis, Missouri, and graduated Phi Beta Kappa with a B.A. in Cinema from the University of Southern California in 1973. He has written over 30 screenplays and his other film credits include 1941 (1979), I Wanna Hold Your Hand (1978), Used Cars (1980), Trespass (1992), and Interstate 60 (2002). 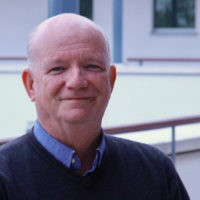 In addition to screenplays, Gale has written comic books including issues of Spider Man, Batman, and IDW’s Back to the Future title, and has also served as an expert witness in over 25 plagiarism cases. Gale lives in Southern California with his wife and dog.